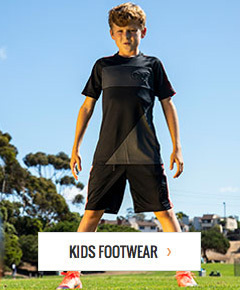 Embrace tradition with a tried and true pair of Puma King soccer cleats from soccerloco. Light weight and great control come together in these cleats as they have for years, thanks to Puma’s expertise. Quality design is a key component of the Puma King soccer shoes we have in our store so you can trust you’ll have a reliable pair of cleats for a long time. The Puma King Finale is an update on this old classic that utilizes modern technologies to bring the competitive edge back to the master of soccer footwear. We want you to get next level performance in all you do so you can trust that you’ll find dependable pieces in our online store. Shop now at soccerloco to grab yourself a pair of strong cleats that has stood the test of time. Puma King cleats feature some of the sportswear giant’s longest lasting features and some models have been updated to bring the classic shoe into the modern game. The soft, natural leather used to make the upper of these shoes, flexes easily so you can move freely and is thin enough to offer you superior feel on the ball. The newer King Finale model features AptoLast technology in the frame as opposed to the ComfortLast used in the original models to help stabilize your foot during high-pressure situations. All of the cleated Puma King shoes we carry have external heel counters to help lock your foot down and steady your passes and shots. Your Puma King cleats will help you get the best game experience thanks to time-tested design. Whether you want the newer Puma King Finale cleats or the original Puma King soccer shoes, we have what you want at soccerloco. Our position as the leading online retailer means we can offer you a large selection to help you get what you need. Next level performance can be yours for a song because your Puma King cleats are eligible for flat-rate shipping anywhere in the continental United States and our prices are already low to start. Keep an eye out for one of our frequent discounts so you can save even more. If you act now, you can get yourself a long-lasting pair of Puma King soccer cleats from soccerloco and enjoy quality shoes for seasons.